Up for grabs today is Food Snap game, My First Colour and Shape Snap game & a sample pack thanks to BrainBox Games. 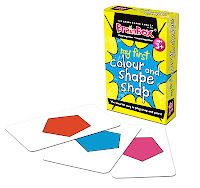 BrainBox (The Green Board Game Company) have been around since 1991. They are called 'Green' because of their strong ethical environmental awareness. They use a high content of recycled/recyclable material in their products and are members of Sedex. 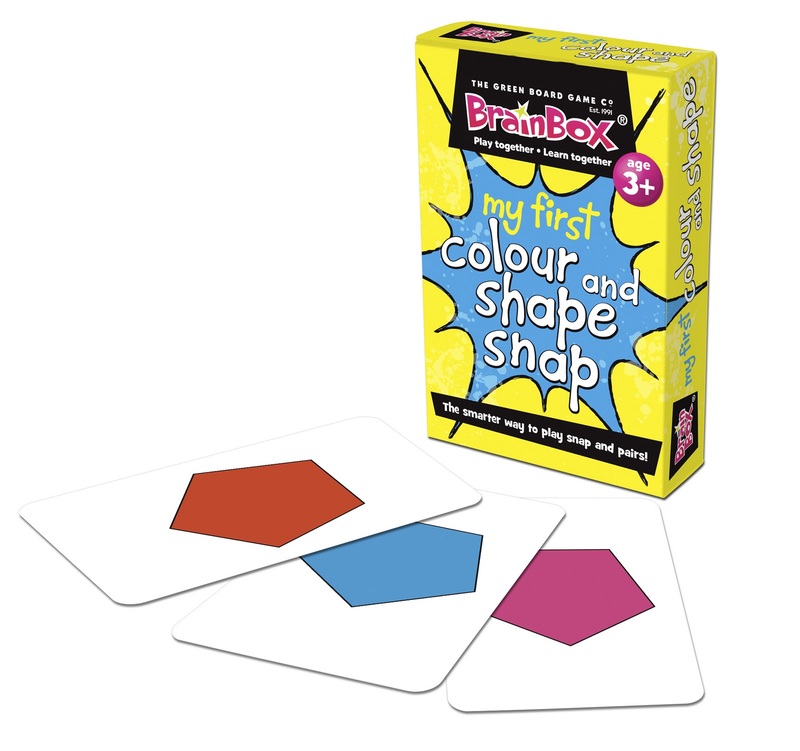 BrainBox sell a large variety of games that are educational, informative and fun - the perfect combination. As a parent, I love for my son to have fun, but if he can have fun while learning, then it's a million times better in my opinion, and that is something BrainBox games can be proud to say they provide. 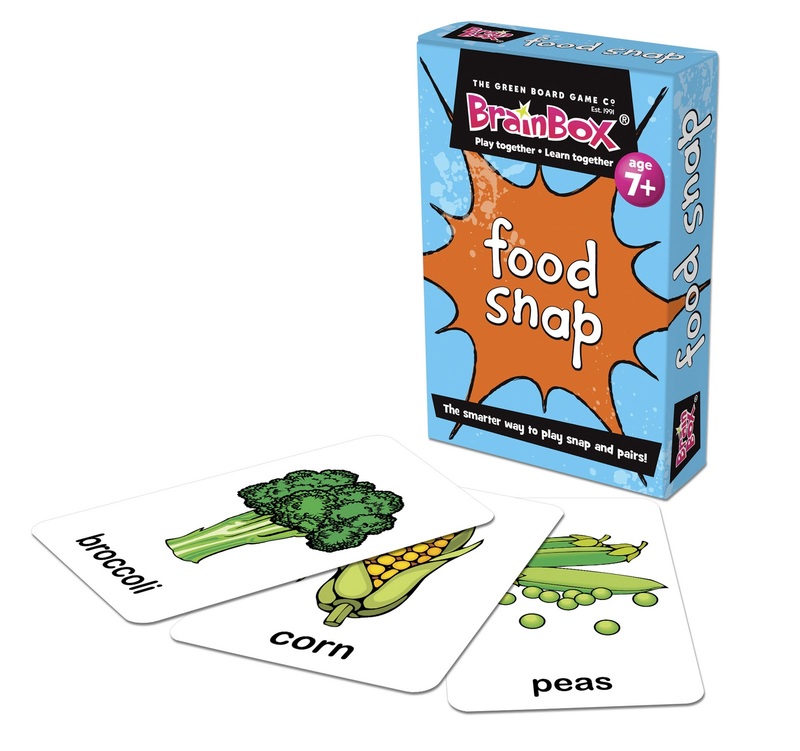 BrainBox games have just released a couple of brand new games within their BrainBox range, so we shall take a look at them here. The first is Horrible Histories BrainBox (Vile Villains). This game is for those aged 8+. 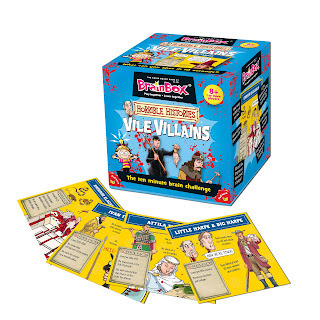 "Find out how truly vile these villains were. Players will have 10 seconds to study a fact packed card before being asked a question from the reverse, chosen by the roll of the die. Answer correctly and the card is yours, if not return it to the box and continue play. The player with the most cards after 10 minutes wins the game!" The second is Reminisce: 1990-2010. This game is for children aged 8+. "Beautifully-illustrated and well researched this delightful game looks back over the last 20 years. Players will have 10 seconds to study a fact packed card before being asked a question from the reverse, chosen by the roll of the die. Answer correctly and the card is yours, if not return it to the box and continue play. The player with the most cards after 10 minutes wins the game!" BrainBox Animals because i'd love to pass on my love of animals to the kids by teaching them about them. 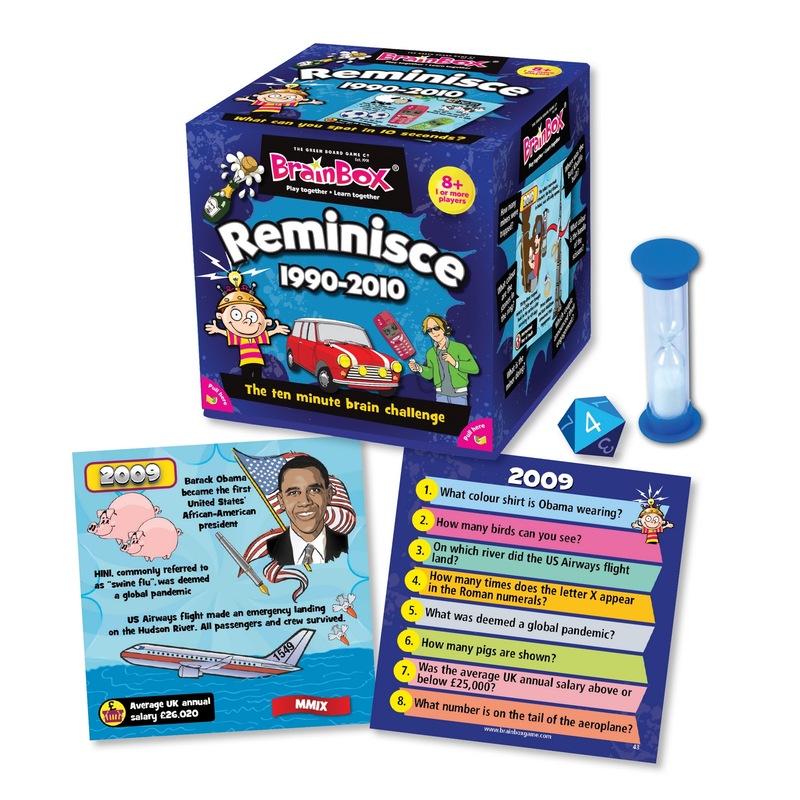 i'd love to get my son brainbox reminisce, because he is always asking about what things were like in the old days when i was a kid, i can then show him things werent that different and i aint old! 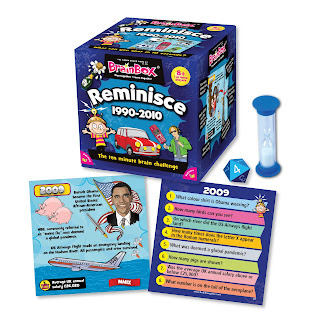 I'd like the Brainbox Animals - my little boy would love this. What a great idea as a prize, could sure make some good games and fun with this prize, which will also help them learn at the same time, learning fun ways is always easier. The Kings and Queens would be great for my nephew who is just the right age to learn about them. i would like to give Vile Villains to my 9 year old. he'd love it!